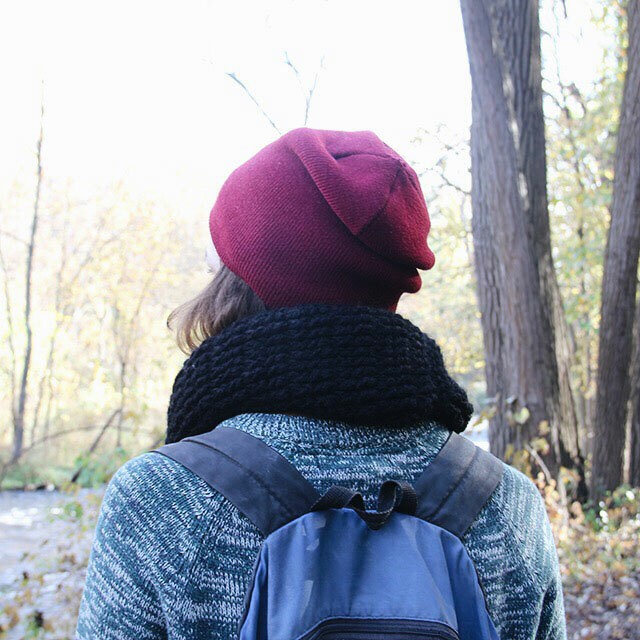 I want to be outside all the time. ALL THE TIME. It is just so dang PRETTY outside. 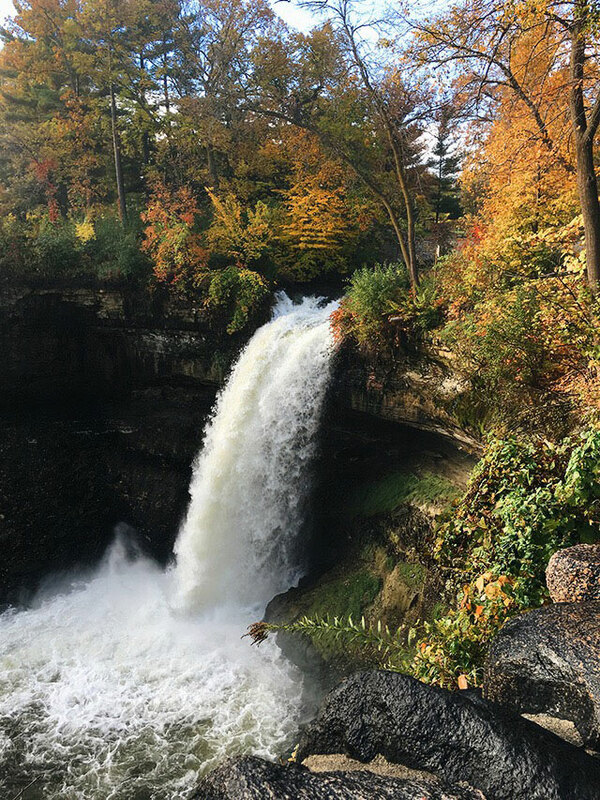 This past weekend we went for a nice little hike at Minnehaha falls (Re: these frozen snapshots from last winter), which is conveniently sandwiched between us & Saint Paul, Minnesota. All I felt was a massive sense of fortune as we were hiking around, "ooh-ing" & "ahh-ing" at all the vibrant colors in the trees. I'm so lucky to live here! I thought I might regret moving to a place that's so land-locked, maybe that I'd feel trapped somehow. Nope. Not missing having a coastline, even a little bit. 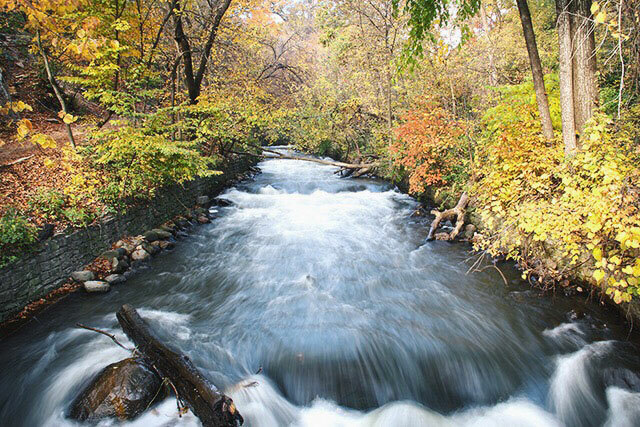 Besides, this is the land of 10,000 lakes, people! Plus rivers & waterfalls to boot. Technically it's the land of 11,842 lakes, which would make for a less-catchy tagline. Either way. 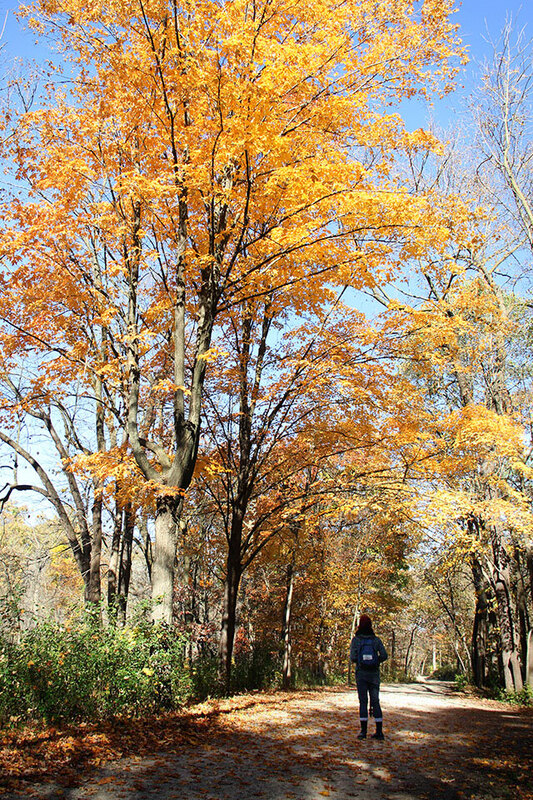 Gorgeous weather, gorgeous trees, gorgeous leaves. Plus it was just chilly enough for me to wear this cozy cowl I finished up the other day. Which, by the way, can be completed in the time it takes to watch two presidential debates. 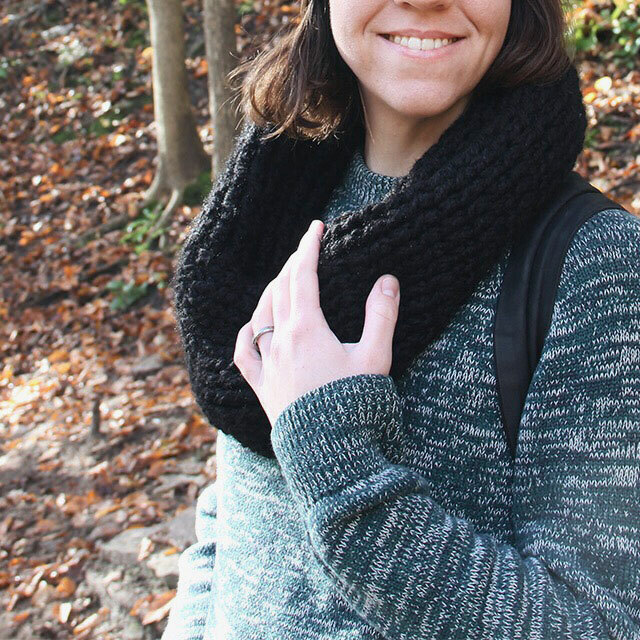 If you do have a few hours to spare, this is a super simple cowl which uses the same knit-lookalike stitch I previously used to make boot cuffs last autumn. Although if you do have a few extra hours in your day, I would highly recommend just going outside & embracing the change of the seasons. Except for my southern friends. I hear it's still in the 90s down there, & I'm weeping for y'all. 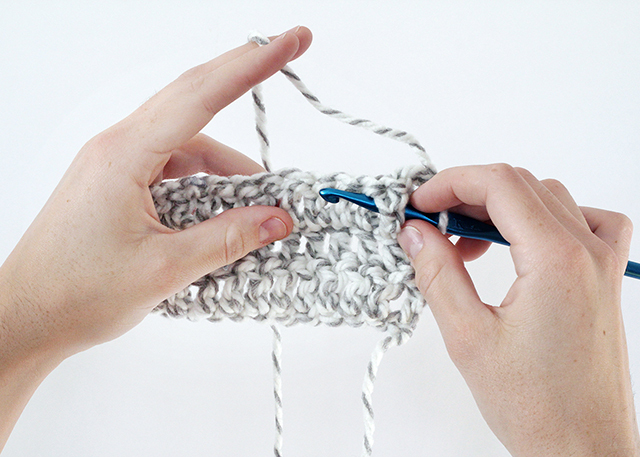 To make your own comfortable cowl, follow the pattern below. This cowl is made from two strands of yarn. Begin by unrolling your skein & dividing it up into two balls of yarn. Row 2: Ch 2, turn. Dc 27. Row 3: Ch 2, turn. Dc into the front of the stitch in row 2 (I'll be referring to this as a knit-stitch. Click here to see what it looks like). Repeat 26 more times. Row 4: Ch 2, turn. Knit-stitch into the back of the stitch in row 3. Repeat 26 times. Row 5-100: Repeat rows 3 & 4, alternately knit-stitching into the front & the back of the previous row. Finishing: With wrong side out, align the beginning of the cowl with the end. Slip stitch in each stitch to stitch across. Tie off. Autumn, please stay for a long, long time. P.S. 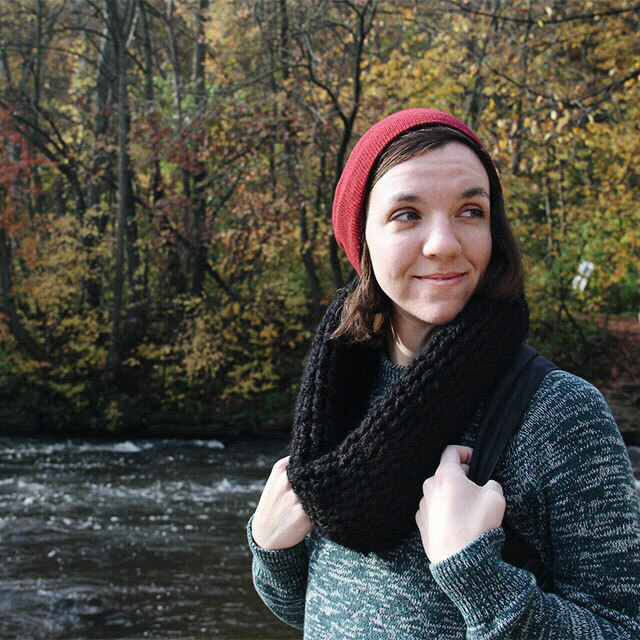 If crocheting isn't your thing, try this no-knit / no-crochet cowl. look how long your hair is! Super long! It's time for a haircut 💇! These pictures are glorious!!! Hooray for autumn. Hooray! Sending fall-ish thoughts (and colder breezes) your way!